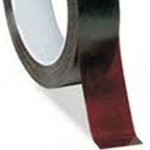 Lithographic Tape (litho tape) is a red cellulose film with an adhesive backing suitable for photography, printing and graphics applications. It is proofed against ultra-violet light and allows visibility for perfect positioning. Ideal for masking and stripping up photographic films, it also protects films, enlarging papers and printing plates during light exposure. © 2019 Tempro, all rights reserved worldwide.